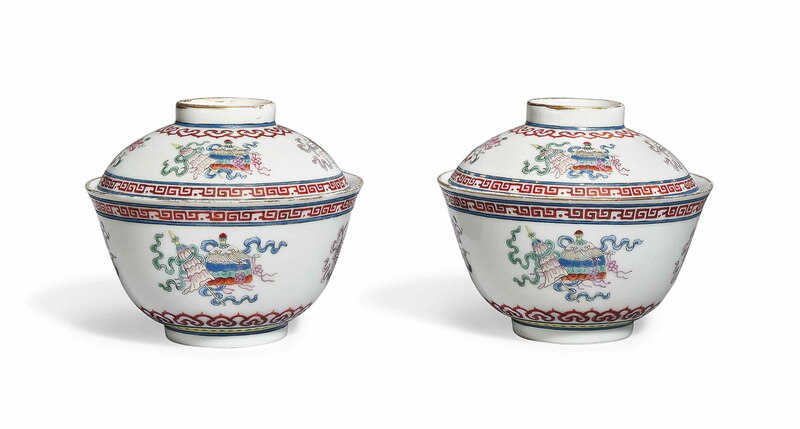 Each bowl is decorated to the exterior with four of the Buddhist emblems including the conch shell, twin fish, be-ribboned vase and ceremonial umbrella. The covers are similarly decorated. 4? in. (10.6 cm.) diam.